May 7, 2014. Charles Otieno Sisia (Oti) from long-time CAC partner, Vijana Amani Pamoja (VAP) in Nairobi, joins CAC programs for his second year as a Community Impact Coach. 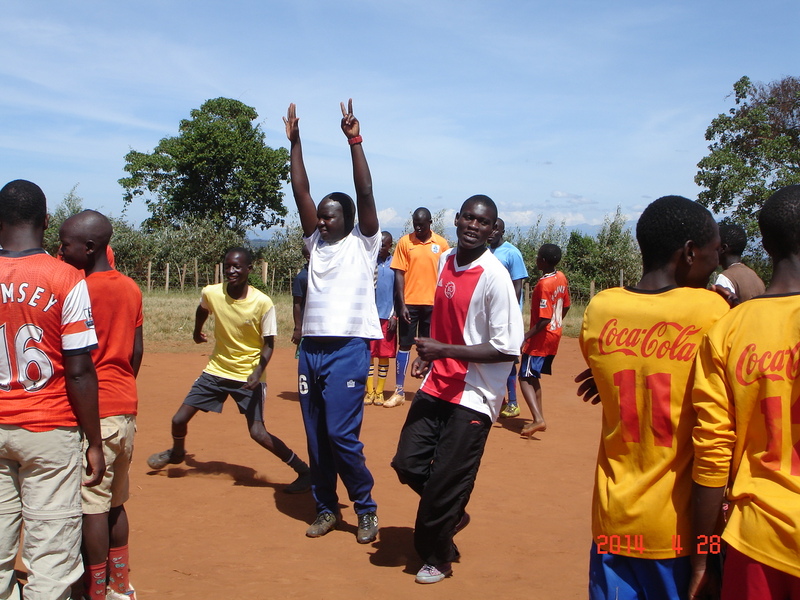 He writes about his week with Trans-Nzoia Youth Sports Association (TYSA) where he joined CAC staff member, Nora Dooley, for a week in Kitale, Kenya. Another great year at TYSA. 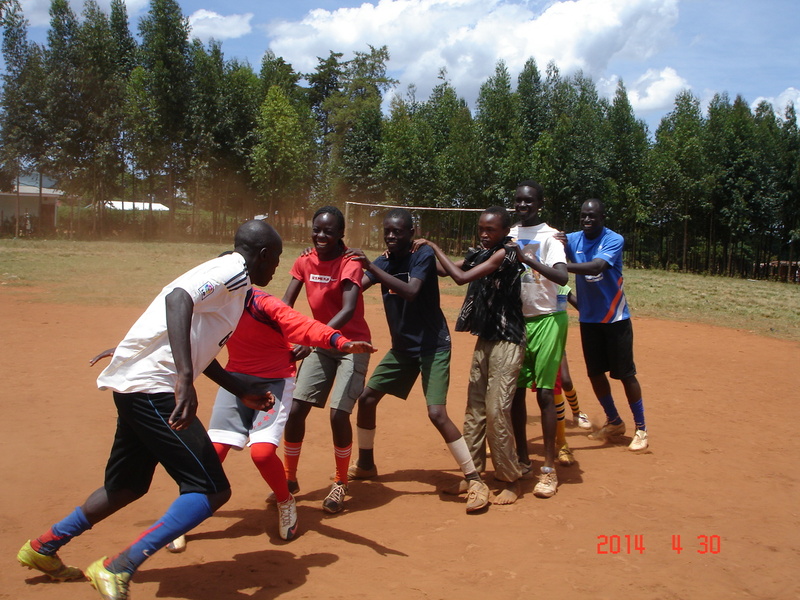 This was the second year that CAC worked with the partner organization based in Trans-Nzoia County, Kenya. TYSA organized a one week camp with more than a hundred participants and half of them participated in the CAC training from Monday 28th April to Friday 2nd May at Makutano Secondary School. 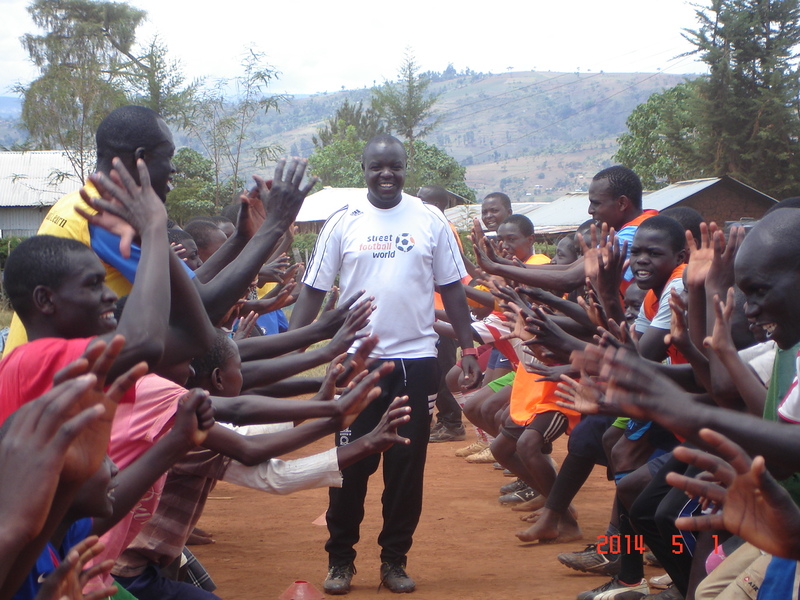 Over the training Nora Dooley, an experienced and motivated CAC coach, led the on-field and off-field sessions assisted by myself, Charles Otieno Sisia, as I was selected for the second year as a CAC Community Impact Coach (CIC). Before the start the participants highlighted the issues they face in Trans-Nzoia and what they would like to learn from CAC. Some of the issues included child labor, neglect, early marriage, lack of education, alcohol and drug abuse, lack of career opportunities, negative peer pressure, and malnutrition. A major part of the week was spent playing games that focused on leadership, voice, education, identifying and creating safe spaces, and complete health and wellness. Protect your body from germs – Hygiene Tag! Off-field sessions were held in the school hall where the participants took notes and asked questions about the sessions that they were now able to teach. The participants gained more confidence, voice, and leadership skills after playing the Circle of Friends, doing the skills of Wilshere and Marta, and also they got an opportunity to teach back what they had learned to the younger participants, and clearly deliver social impact messages. The participants declared to fight for their rights and child rights, and to protect and never abuse children. This was the bill of rights and child protection session with Coach Nora. Gazza Safe Spaces Tag was one of the best games talking about space spaces when home was not a safe space for everyone. Women empowerment activities were superb with girls now having a voice to ask for their rights and room in sporting activities, careers and other opportunities. Health games also worked well for both genders and participants were able to talk about their bodies during Hygiene Tag. The participants graduated and have now joined us to educate more people on football for social impact by teaching the CAC sessions. TYSA is humbled by the amazing social impact CAC has !!! We have benefited a lot .